The advent of technology has also brought a positive change in Contractor management and issues pertaining to it. The ever-growing scope of construction has increased the value of the software helps in maintaining the contractor management business. There are a number of software available in the market for contractor management. However, we have chosen the top ten doing excellent business in the market. We hope that you will certainly make your choice among this software to aide yourselves to get a tension free environment for the construction business. 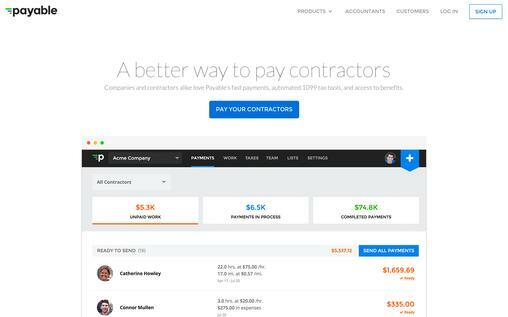 The contractor management software has not only decreased the workload but is also helping the contractors to generate valuable profit. Is there any solution to tempt new customers to avail of your services? Yes!! i.e. marketing via MailGet Bolt- An effective & affordable email marketing software service. 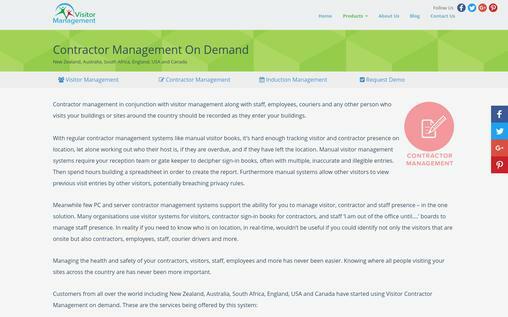 Let’s get on with the top 10 list of the best contractor management software that is designed to resolve the issues related to this business. The software has brought about a revolution in the construction business. It is equipped with all the requirements of the contractor management business. 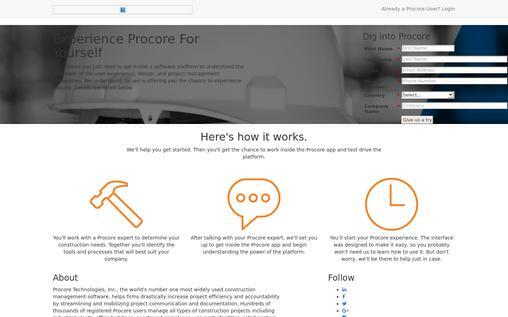 Procore is acclaimed as world’s leading contractor management software. It does not help in increasing the project efficiency but also offers help in mobilizing the project communication and documentation. The software provides help in maintaining the accountability that is key to earning the profit in the business. The software streamlines and prioritizes your contractor management issues and provides help in resolving them. It is low-cost software that adds much-needed value to your worthy business. 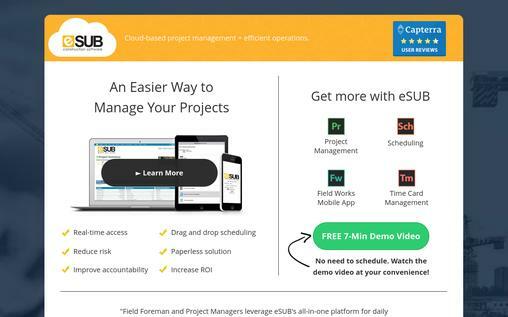 It is a cloud-based project management software. It is designed to provide you with online help whenever required. The software has special features including additional space for storage of data and tools to find the data with ease. 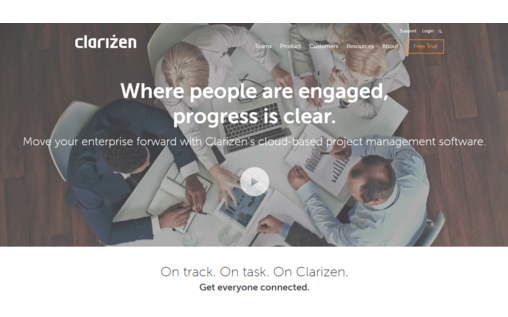 Clarizen provides you with a guideline to cut you the cost and improve effectiveness whenever needed. The software is also aimed at improving your project outcomes and helps in boosting productivity. The software also helps in building company-wide engagement to accelerate the workflow. The software is low in cost but is much higher in effectiveness. This project management software is specially designed to help you control your cost and improve your effectiveness in the business. 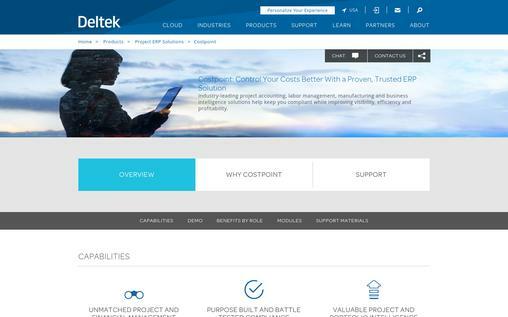 Deltek is aimed at ensuring profit in the process of completion of the project. The software provides you best solutions regarding the cost management plans. The software is low in cost but is rated among the best in the market. Besides providing the unmatched project and financial management, the software also helps in maintaining valuable project and portfolio intelligence. This software is equipped with multilingual help to the users in ensuring the smooth running of their business. 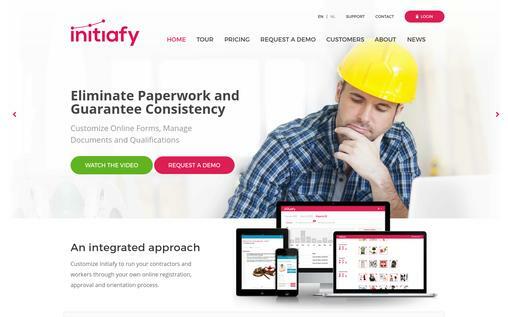 Initiafy offers you an opportunity to experience the collaborative work of a company with all the users well identified to each other. It does not require any additional training for the staff for the usage of this software. It is easy to use and guides all the users as per their requirements. The help offered in many languages makes it the worthy software of its kind. Besides providing the cost-effective measures to the contractors, the software also reduces the additional workload on the worker. It is a software that is aimed at management of risk and compliance processes. The application is a comprehensive and integrated solution with mobile interfaces. 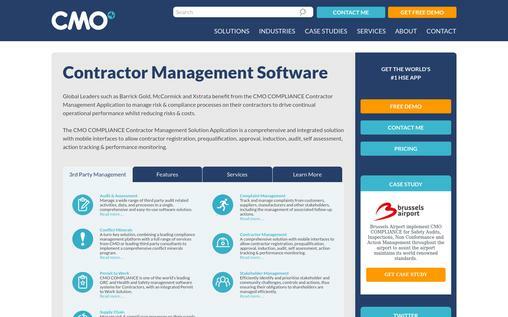 The CMO third-party management application is being used by world’s leading contractor organizations and is ranked among the hot-selling software in the world. It is also the leading health and safety management software with an integrated permit of workable solutions. It helps in identifying and prioritizing stakeholder and community challenges. It provides you help in complaint management from customers, suppliers, and manufacturers associated with your business. It has been a longstanding issue with the contractors for not being able to manage their payable amounts. The contractors were thought to have been the laziest creature when it comes to depositing the payable amount. There is no need to worry because Payable has resolved this problem. The software not only enables you to streamline your finances but also gives you an alert regarding your outstanding dues. The software has been used by a large number of companies and has produced miraculous results in this regards. It extracts vital information about taxes and provides you aid whenever required. This contract management software has brought lives of many contractors at ease. The software is aimed at building a strong bond between the contractor and the suppliers. 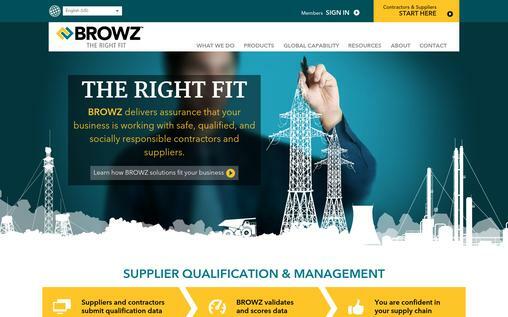 Browz solution is the valuable software for enhancing the scope of the contractor business. It has not only provided much-needed help in establishing a business but has also provided much-needed guidelines to the contractors to capture the new market for business. The software is comparatively low in cost but is rated much higher in its effectiveness. The software is aimed at keeping a complete track of the visitors including employees, site visitors, courier personnel, staff and other related persons visiting your company across the country. Visitors Management System is a unique replacement for the old-time visitor catalogs and visitors’ books. The system not only records the time of the visitor but also keeps the data saved for a long time. It helps you keep a close check on your business and thus improves the efficiency of the workers. The software enables you to track the record of the visitor to help you contact him whenever required. The software is helping countless contractor firms across the globe in enhancing their work efficiency. It is equipped with all the necessary tools to provide smooth running to your workflow. The software not only enables you to keep a close eye on your projects but also guides you to enjoy effective cost-cutting methods. E-sub Construction Software not only gives you a better idea of the market prices of various elements but also gives you information about the latest trends in the contractor management business. This is highly recommended software for the large and medium scale organizations. 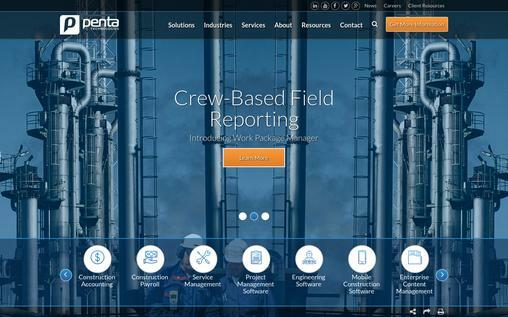 The Penta Construction Management Software is designed to provide all the solutions pertaining to the contractor management. It is flexible to adapt to track many types of solutions for an organization. It offers a standard workflow process with a web-based management system. It is cost-effective software that offers very low investment in grooming your business to the sky high. Choosing this software to increase your business scope will not only help you find ample time to discover new markets but will also help you in gaining valuable profit. The software mentioned above are aimed at adding value to your business. Contractor management has been evolved with the use of technology. Use of this software not only helps you save time but also enables you to save much-needed income that was otherwise spent on this purpose alone. It is up to you to choose the best software according to your own conditions.